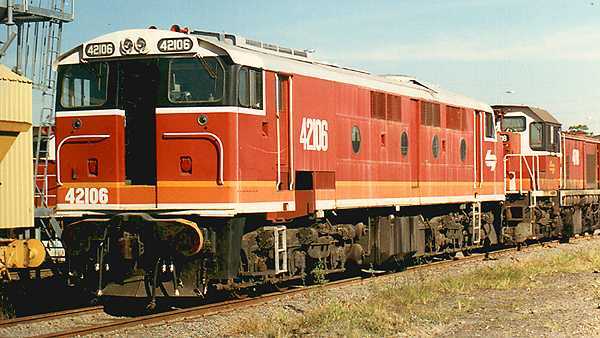 The 421 class was built by Clyde Engineering at Clyde, NSW. 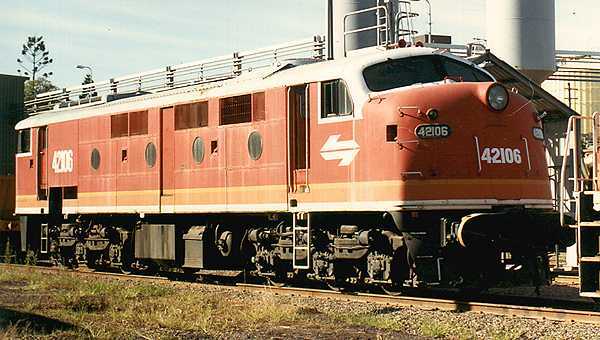 The first unit was in service on December 23rd, 1965. There were 10 units in the class, numbered 42101-42110. 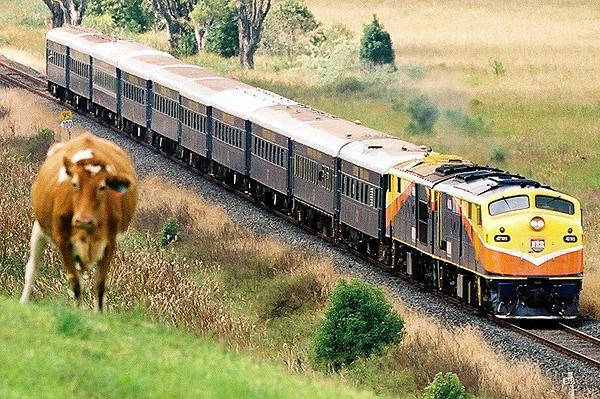 They weigh 110 tonnes and have 1800 HP available for traction. 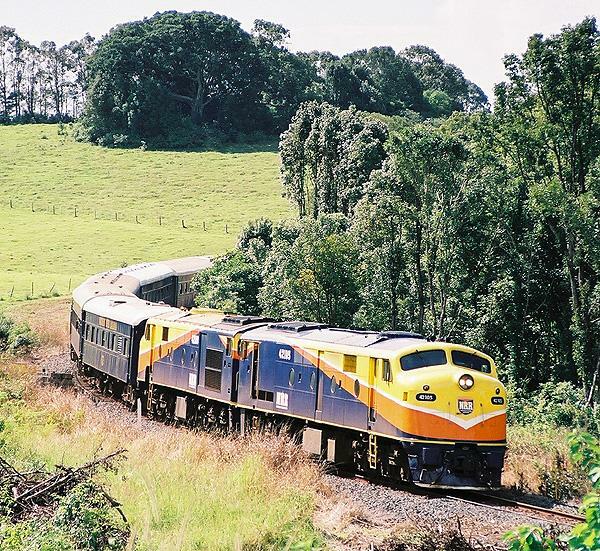 42105 leads another 421 on the Ritz Rail train South of Murwillumbah. 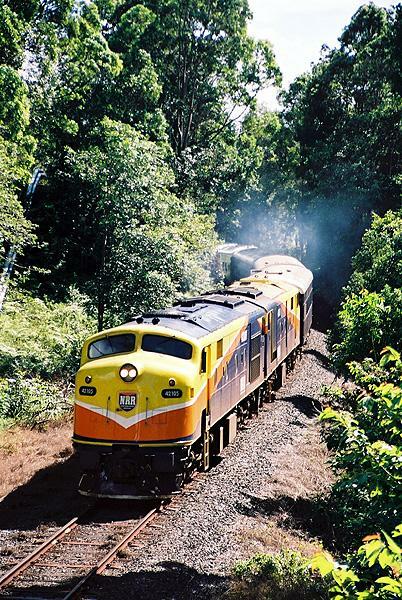 42105 leads another 421 on the Ritz Rail train South of Murwillumbah, trying not to disturb the locals. 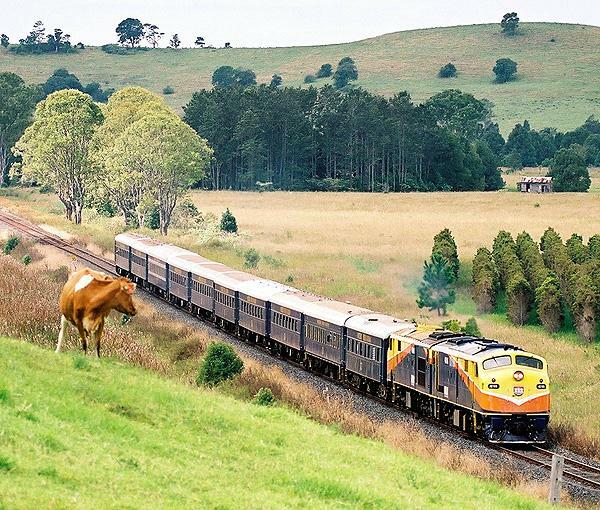 42105 leads another 421 on the Ritz Rail train South of Murwillumbah, while a cow turns to look at the source of the lusty chant. 42106 stands at Cardiff Loco depot on May 5th, 1990. 42106 and 4718 stand at Cardiff Loco depot on May 5th, 1990.